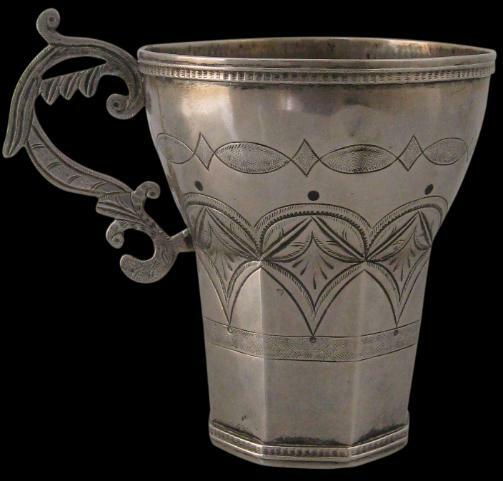 This silver cup has an eight-sided base which rises to a circular rim. 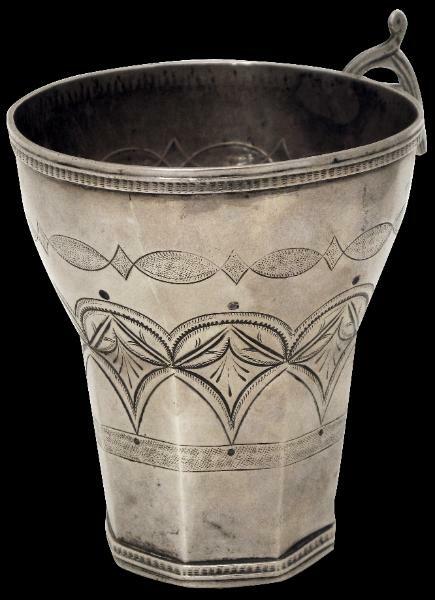 It has a foliate-form handle that is further engraved. 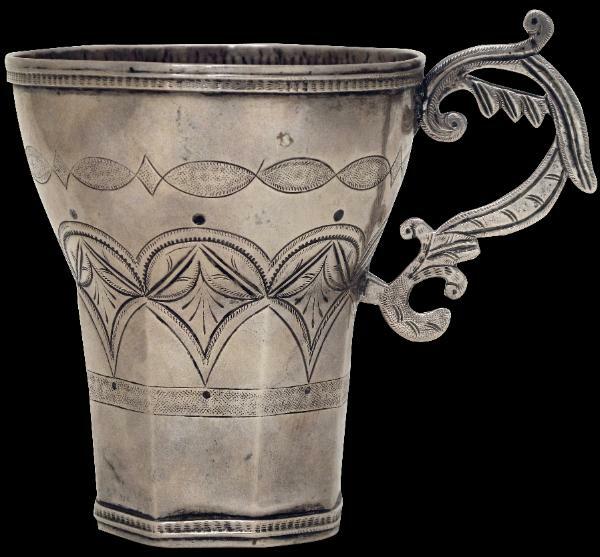 The body of the cup is chased with geometric around a wide central band of stylised flower motifs. 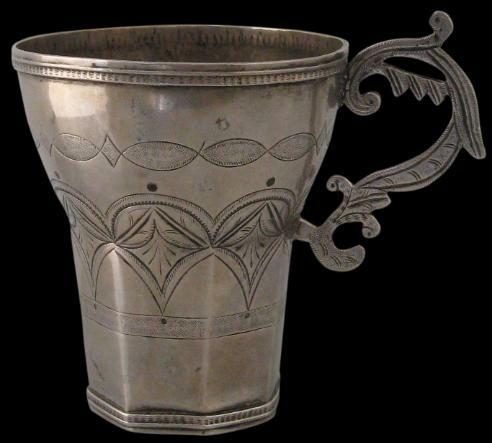 The cup has a pleasing hue and a soft patina. awarint kupanaka, such cups are used in the Andes by Quechua, Chipaya and Aymara Indians to offer blessings of cane alcohol during rituals. Overall, this is a fine example, much larger than most extant examples.